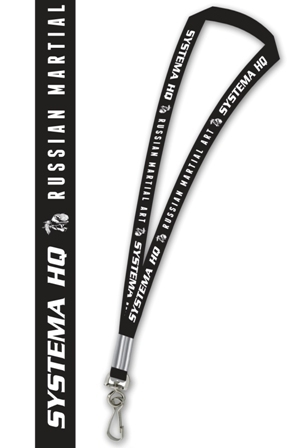 A silk-screened, light-knit lanyard with a crimped tip and swivel j-hook. 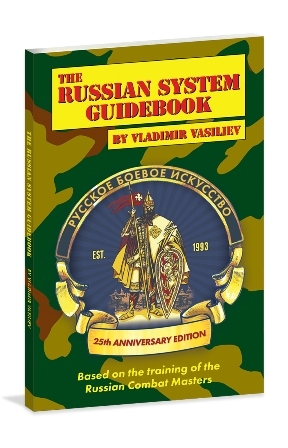 Depicts the Systema HQ Russian Martial Art warrior imprint in excellent detail and clarity. Classy black lanyard with clean white imprint. 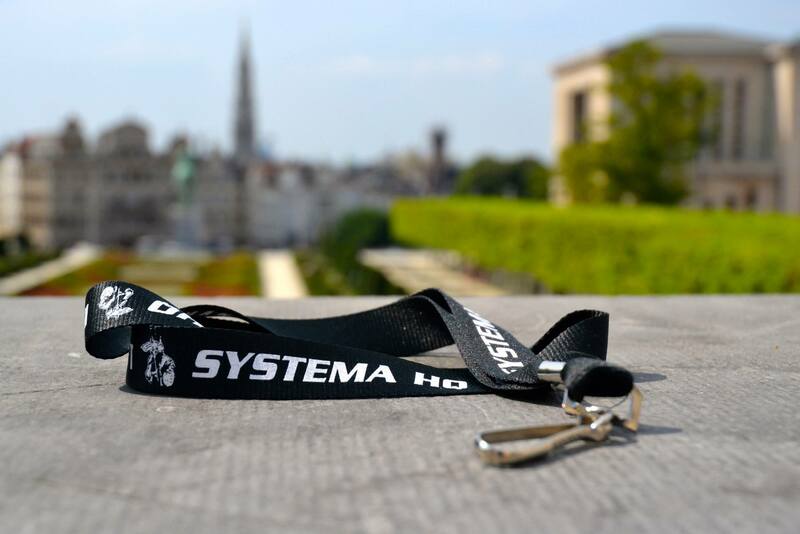 Get your Systema Lanyard FREE, as part of the Complete Film Package..